Peel and cut the butternut squash into large 1-2 inch cubes and slice onion. Place into the crockpot. Add the rinsed cannellini beans, vegetable broth, rosemary, thyme, ginger, salt and pepper to the crockpot. Put the crockpot on HIGH for 3 hours until butternut squash is soft. Scoop out the hot mixture into a blender until mixture is a smooth puree (I used a vitamix gradually putting the speed up to HIGH for 30 seconds). You got butternut squash soup! Optional Step/extra ingredients: And add the kale and Greek yogurt. Stir well. Cook soup for another 30 minutes and your butternut squash soup is ready to be served! 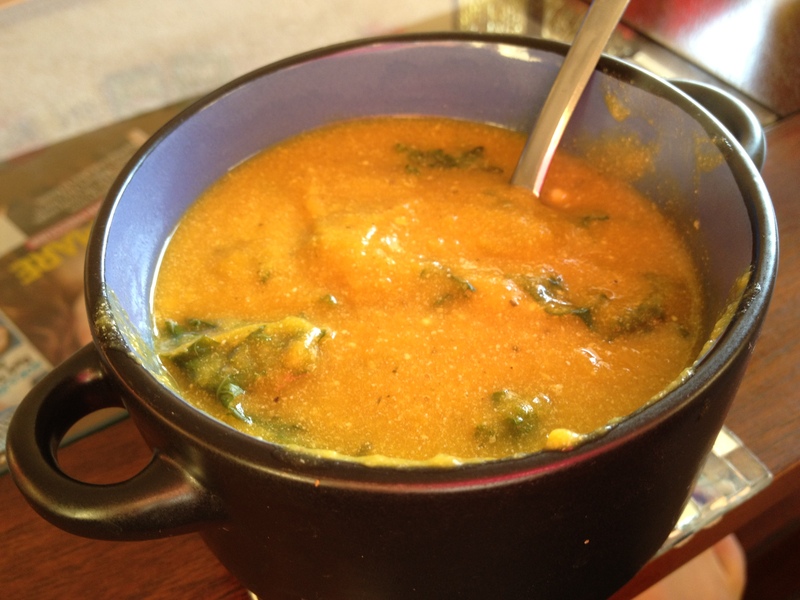 Find this recipe featured in my post, Week 1 Crockpot Meal: Butternut Squash Soup!